Marvel's animated Deadpool series has hit a bit of a snag. Donald Glover and Stephen Glover have parted ways with the project. When the show was announced back in May of last year, both were slated to write, executive produce and serve as showrunners on what was described as an animated adult action-comedy series originally intended to launch this year on FXX and center around the Merc With A Mouth. Additionally, FX is also leaving the project behind. However, the cable network will continue to partner with Marvel on their popular X-Men spinoff series Legion. 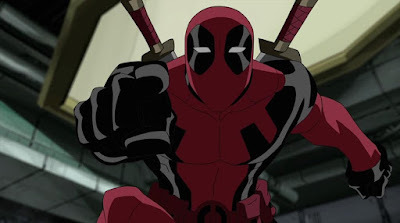 "Due to creative differences, FX, Donald Glover, Stephen Glover and Marvel Television have agreed to part ways on Marvel's Deadpool animated series," the network announced today. "FX will no longer be involved with the project. FX and Marvel have an ongoing relationship through our partnership on Legion, which will continue." It is currently unknown if Marvel will shop the series around to another network or simply shuffle it over to their upcoming streaming service. A voice cast was also never set for the show.